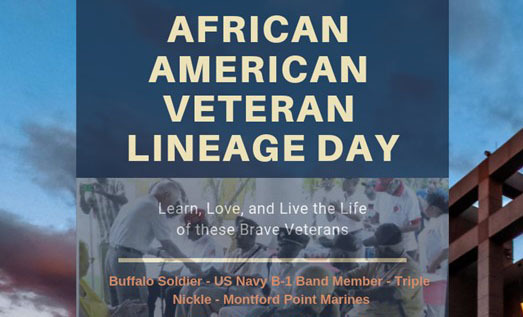 The NC Department of Military and Veterans Affairs (NCDMVA) will celebrate North Carolina African American Lineage Day to commemorate the many contributions of African Americans in the United States military, and Elizabeth City State University is a major contributor to the event. ECSU is collaborating with the NCDMVA, the North Carolina Museum of History, the Sports Shop Radio, and the Carolina Small Business Development Fund, to produce a documentary to honor and salute five African American service members who broke color barriers when the U.S. military was segregated. The goal of this documentary is to preserve North Carolina’s rich African American military history that will be used for educational aspects. According to ECSU Dean of Liberal and Fine Arts, Dr. Sharon Raynor, faculty and students are using oral history, photography, video and digital media platforms, and individual and group panel settings as methods to capture the stories from a first-hand perspective. The faculty members documenting this event are Dr. Jeff Whelan (film), Clarence Goss (graphic design), Dr. Walter Iriate (digital media), Dr. Charles Reed (history), Dr. Latif Tarik (history/archives), Dr. Melissa Stuckey (history), Melba Smith (TV/radio), Dr. Sharon Raynor (English), and students Keven Fitzgerald, Jasmine Simmons, Hailey Ryan and Miquel Washington. The veteran interviewer will be Sgt. First Class Mark Diggs, U.S. Army (retired). The five veterans who will be highlighted are Cpl. John R. Thompson and Gunnery Sgt. 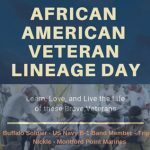 Robert L. Thomas, members of the Montford Point Marines; Henri A. LeGendre of the 9th Calvary “Buffalo Soldiers”; Calvin Morrow of the U.S. Navy B-1 Band; and Charles Stevenson of the 555th“Triple Nickle” Battalion. “These brave men exemplified what it means to serve their country and to hold your head high in the face of adversity,” said NCDMVA Secretary Larry Hall. The event includes an awards ceremony on Feb. 13 in Raleigh at the North Carolina Museum of Natural History at 1p.m. Following the awards ceremony, there will be a meet and greet reception.